A playful and fun design with a message "Be different. Love different". A unique decal from our collection of funny wall stickers. Love being different? 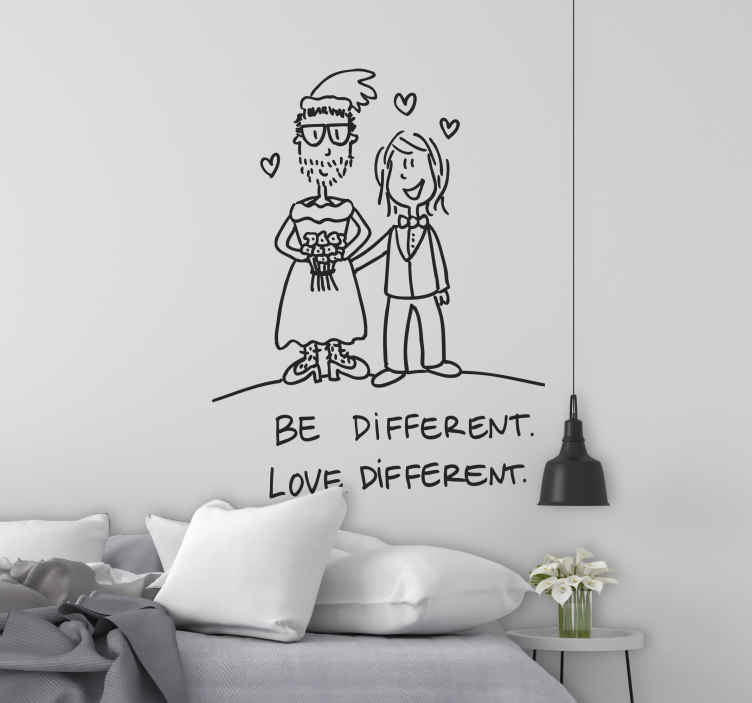 Then decorate your place with this wonderful decal with a inspiring message encouraging everyone to embrace their qualities! Personalise your decal and give your place a pleasant atmosphere. An illustration by graphics designer DEIA. This Love Different design for any smooth surface is available in various sizes and in 50 colours. Decals made from high quality vinyl, easy to apply and remove. Decorate walls, appliances, devices and more.